Admission for two; listing in all event materials, website and annual report. Admission for four; listing in all event materials, website, social media and annual report. Admission for six; logo on all signage, ads, invitation, social media and annual report. Admission for eight; half-page ad in the gala program, prominent logo on all event signage, ads, invitation, social media, website, press release and annual report. Premier table for ten; full page ad in the gala program, prominent logo on all event signage, ads, invitation, social media, website with link to sponsor site, press release and annual report. Two premier, reserved tables (10 per table); full page ad in the gala program, prominent logo on all event signage, ads, invitation, social media, website with link to sponsor site, press release and annual report. I have read and agree to the Terms and Conditions and give my consent to ACES Education Foundation to process my personal data. I understand I can revoke this consent at any time. 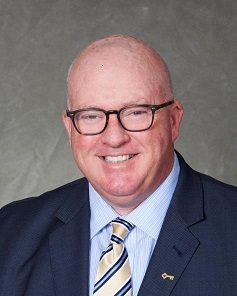 Jeff L. Hubbard serves as President and Commercial Sales Leader for KeyBank's Connecticut and Western Massachusetts market. In this role, he leads the bank's regional economic and community development efforts, and oversees the sales effort for delivering a full range of lending and financial services offered to commercial clients. He is also accountable for driving collaboration and coordination of activities and resources to generate revenue growth and increase market share, and serves as the external face and voice of KeyBank in the Connecticut and Western Massachusetts communities. Jeff is also the President of the Key Serving Company. Prior to the acquisition of First Niagara Bank by KeyBank in 2016, Hubbard served as New England Regional President for First Niagara. He's an active member of the community, serving on the Executive boards of the Connecticut Business & Industry Council, Connecticut Bankers Association, and Connecticut Convention & Sports Bureau. 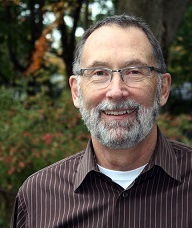 Jeff has board roles on United Way of Central and Northeastern Connecticut, Greater New Haven United Way, Greater Hartford YMCA, CAPA/Shubert New Haven, and HEDCO Inc. and Market New Haven.He is a former board member of the Community Investment Corporation, Connecticut. A Connecticut native, Hubbard resides in Guilford, CT with his wife Diane, and has three adult children. He is based in Key's Connecticut Market Center, located at 195 Church Street in New Haven. Always making it her life's top priority to give back and volunteer her time to many charitable organizations, at the young age of 12 years old, Alyssa founded, "Smiles for Seniors", a volunteer driven program created to enrich the lives of our elderly, specifically those in long-term care facilities. Alyssa Rae Taglia serves on the board of Directors for SELF INC., is a member of "MASTA", the Miss America State Titleholders Association and was a goodwill ambassador for Connecticut Children's Medical Center in 2016. 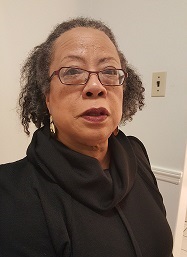 Frances "Bitsie" Clark is a resident of Whitney Center in Hamden, Connecticut where she serves on the Resident Council and the Lecture and Community Connections Committees. From 2011 until her retirement in 2017, she was the Executive Director of HomeHaven, an organization that helps people remain in their own homes as they get older. 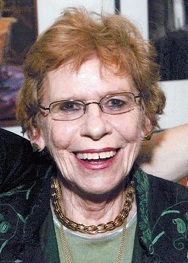 She was the Executive Director of the Arts Council of Greater New Haven from 1983 until she retired in 2002. She was elected to the Board of Aldermen for the City of New Haven representing the downtown ward in 2003 and served for the next eight years. She came to New Haven in 1956 and worked for the local Girl Scout Council for 10 years, training volunteer Scout Leaders and Directing Camp. Upon her retirement from the Girl Scout staff, she was elected to the Council Board of Directors and between 1978 and 1982 served as President of the Connecticut Trials Council. She has a bachelor's degree in Political Science from Vassar College and holds an Honorary Degree of Dr. of Humane Letters from Albertus Magnus College. She has 2 children and 5 grandchildren under the age of 18. Sharyn Ainsworth Esdaile throughout her career has supported the amazing abilities of children and youth. Her concentration on arts and creativity integral to student engagement and achievement has been a hallmark-first as teacher, curriculum developer, program coordinator and consummately as an administrator. Graduate of Mount Holyoke College and SCSU, she enjoyed tenures in New Haven Public Schools Baldwin-King Program, Connecticut Arts Commission and the Center for Theatre Techniques in Education (CTTE) American Shakespeare Theatre. She joined ACES in 1983 through its Arts in Education Division-ECA merger with CTTE. Guided by the indomitable Mary Hunter Wolf, she collaborated with students and teachers to foster arts learning and new approaches to interdisciplinary study. Award-winning projects such as Creativity in the Classroom, Arts for the Middle School and Talent Search & Development became models for the nation and led to the inception of the New Haven Arts Magnet Schools. Mrs. Esdaile was co-designer/founder of Conte Arts Magnet, Betsy Ross Arts Magnet School and Cooperative High School for the Arts and Humanities. She was Artistic Director of Conte and Betsy Ross during which time the schools were recognized amongst the most successful in the United States. Thereafter, she brought her skills to new heights at ACES Wintergreen Interdistrict Magnet School being Assistant Principal and Principal-retiring after eleven years in 2010. Bob Parker is a retired arts educator. He worked for ACES for 36 years, as a teacher and then Director at ACES Educational Center for the Arts in New Haven's Audubon Arts District and as the Director of Communications for ACES just before his retirement. He has served as a board member and advisor to arts and education advocacy organizations at the national, state and local level. Bob's interest in the arts, education and New Haven continue as a volunteer; he has served on New Haven's Commission on Arts, Culture and Tourism and the Board of Directors of the Southern Connecticut State University Alumni Association and New Haven Sister Cities, Inc. He is happiest these days in his current role as the co-chair of the Board of Directors at Common Ground, a high school environmental education center and urban farm in New Haven.